◆Regular Maintenance Notice◆ We will be performing regular web maintenance on the second Tuesday of every Month from 12:00AM to 2:00AM. Please note that this page will not be available during that time. 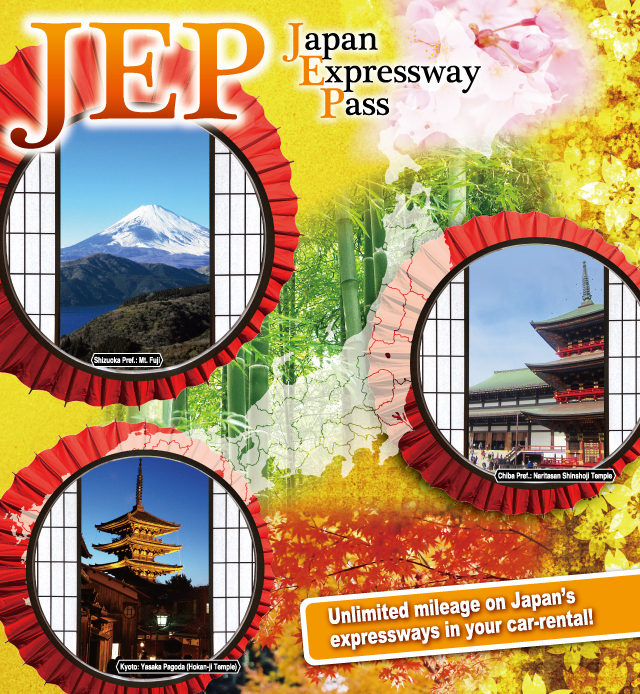 The Japan Expressway Pass offers visitors a way to use the expressways in Japan at an inexpensive flat rate. 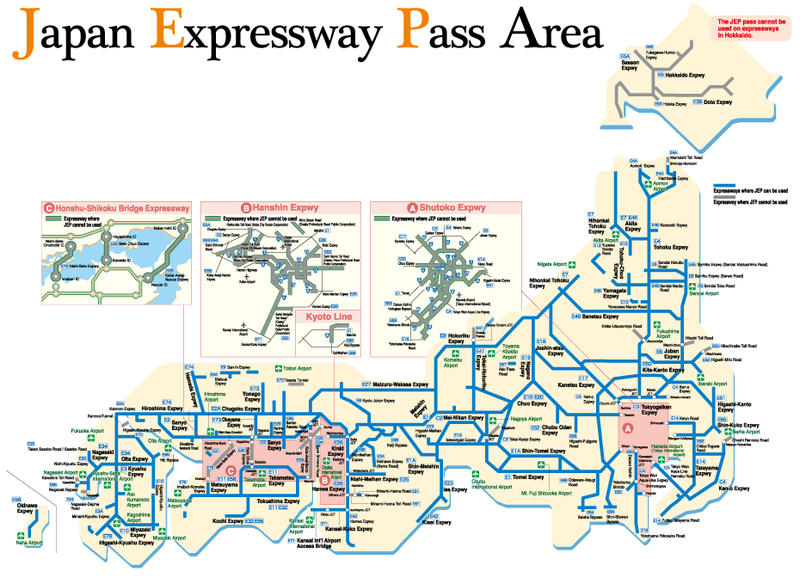 ＜Notice＞Note that the Japan Expressway Pass cannot be used for expressways inHokkaido, Sky Gate Bridge tolls (100 yen per round trip), Kanmon Tunnel, Daini Shinmei Road, Shuto Expressway,Hanshin Expressway, or expressways operated by the Honshu-Shikoku Bridge Expressway Co. or expressway public corporations. However, it can be used on Sanriku Expressway (Sendai.Matsushima Road), Kyoto Jukan Expressway, and Bantan Road, operated by expressway public corporations. ※The Japan Expressway Pass can only be used with regular-sized passenger cars (“ordinary vehicles”). Reserve the car（only”ordinary vehicles”）and expressway electronic toll collection (ETC) card for use with your Japan Expressway Pass.